Save $5.99 on Your Order with Advantage Today! 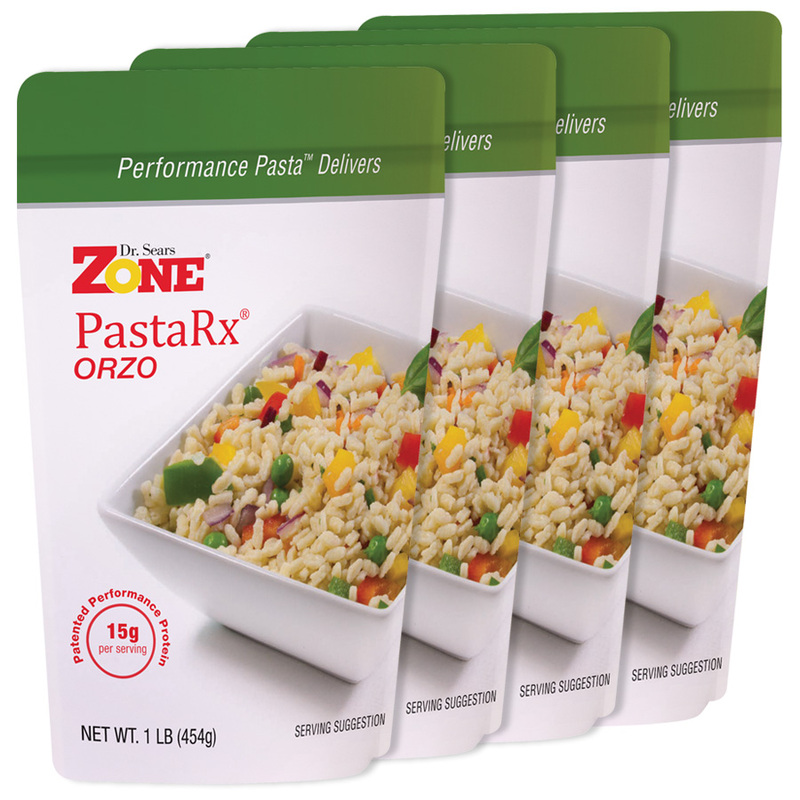 Great-tasting Zone PastaRx Fusilli is perfectly Zone balanced and designed to curb hunger by supporting healthy blood sugar. 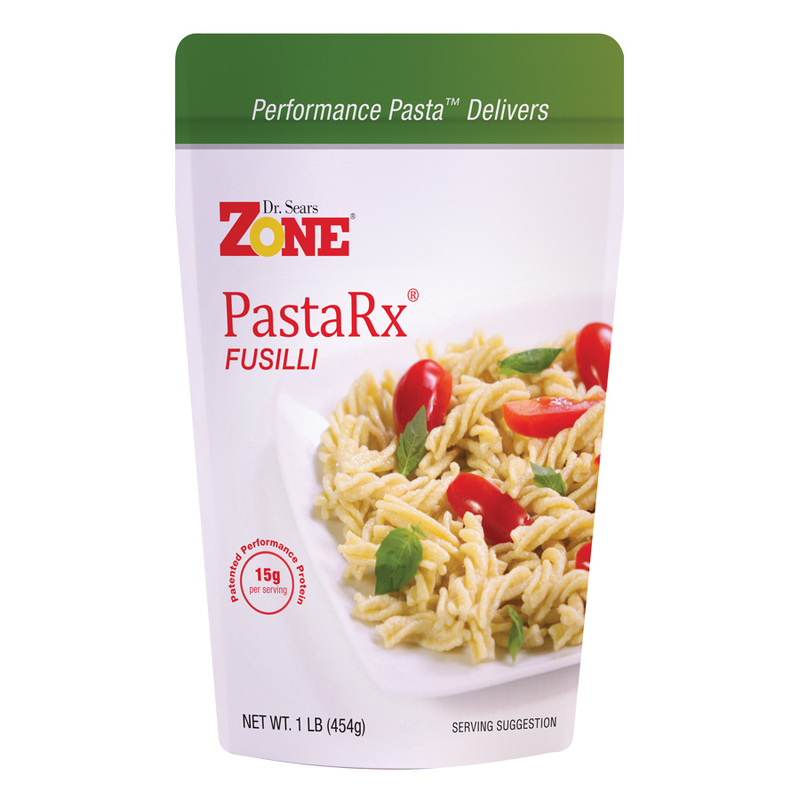 Unlike traditional pasta that is often high in carbohydrates and low in protein, Zone PastaRx Fusilli contains only 21 grams of carbohydrates while providing 15 grams of protein per serving. 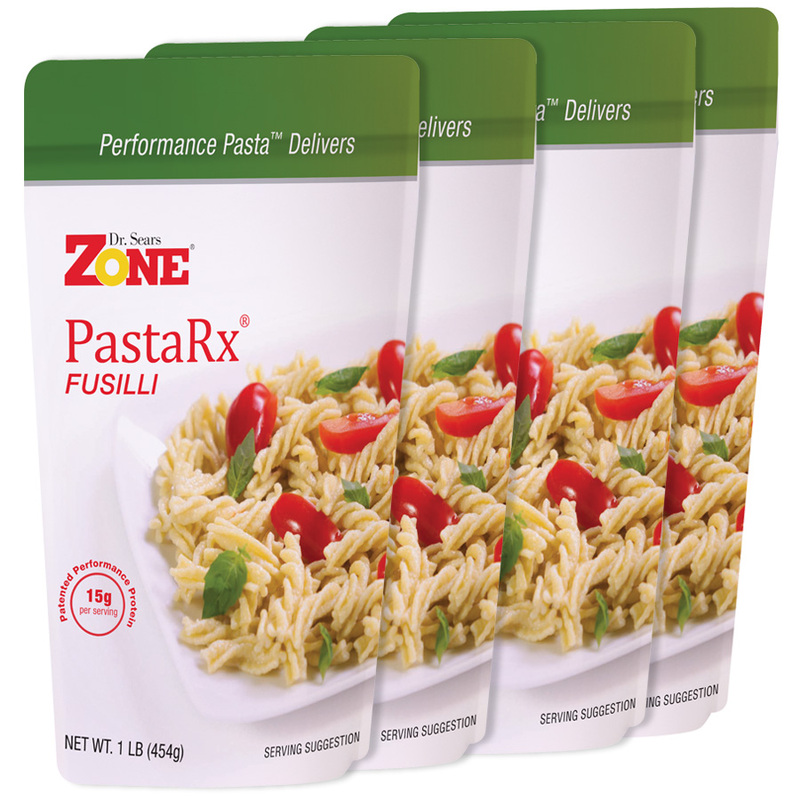 Whether you are interested in wellness, weight loss or athletic performance, Zone PastaRx Fusilli provides the nutritional balance to help you reach your goals and keep you in the Zone. 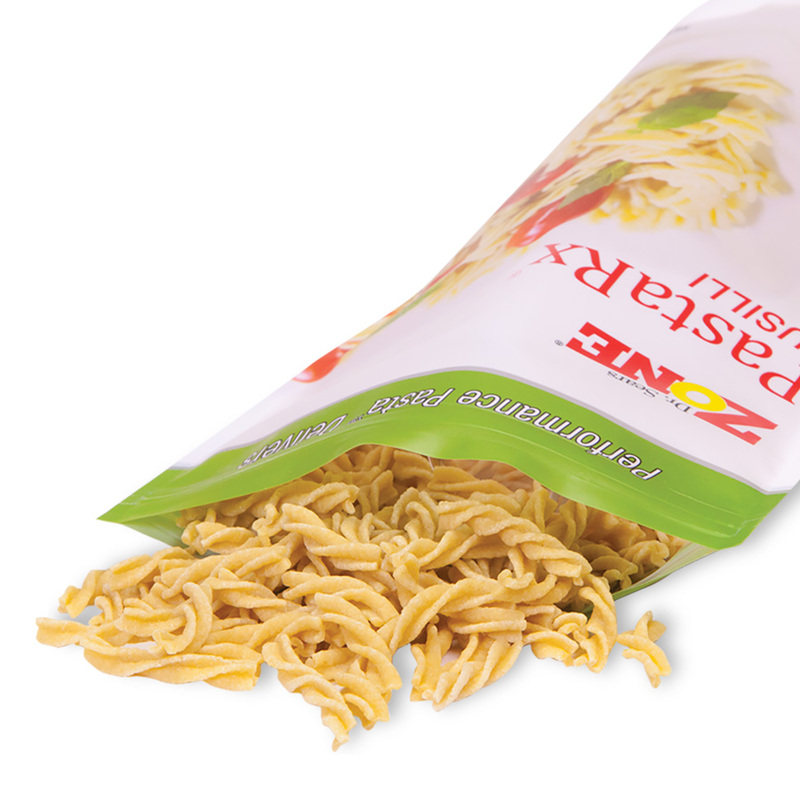 Zone PastaRx Fusilli is also the perfect substitute for traditional pasta in any recipe and can be added to your favorite soups, salads, or broths to increase the protein levels. Includes four 1-lb. bags with ten ½-cup servings per bag and cooks in about 24 minutes. Zone Pasta is part of a newly patented food technology that changes the dynamics of the body’s protein absorption. * It has been shown in clinical trials to satisfy hunger for hours and help control blood sugar. The Staff makes every effort to accomodate my special address needs. I’m traveling fulltime on the road and my address changes for every mailing. It works. If they make a mistake they make up for it. Makes a great mac & cheese dish. Just started using this with grilled vegetables warmed with tomato sauce or as a cold pasta salad with olive oil and balsamic vinegar. Delicious and so good to know that it is zone-healthy as well. We love the product and the service. 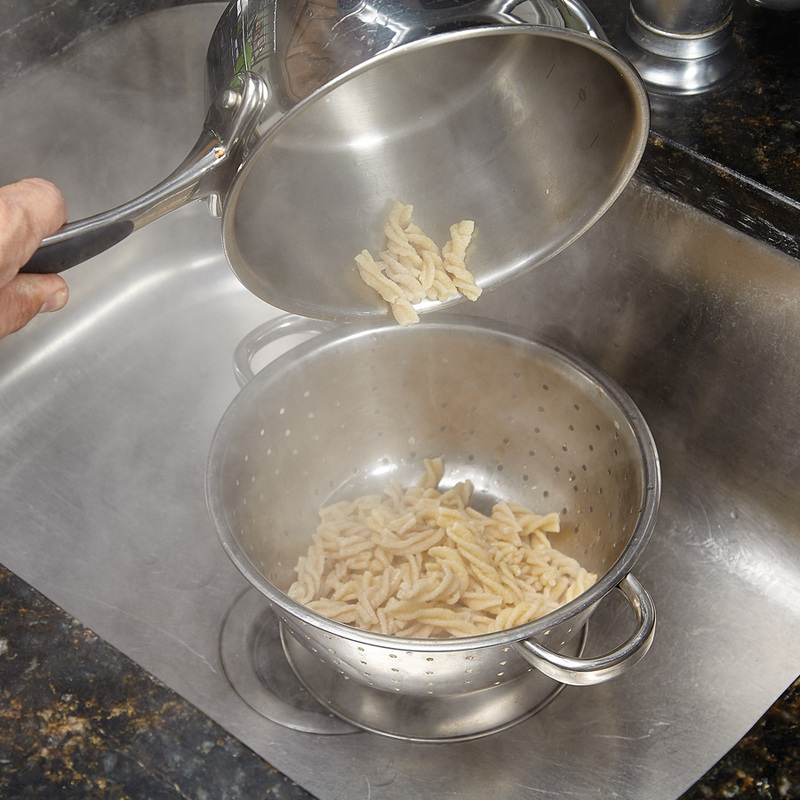 The increased cooking time for PastaRx from 12 minutes to 24 minutes for Fusilli increases the crosslinking within the PastaRx that provides for greater appetite suppression and improved hormonal responses. You don’t need very much PastaRx to reduce appetite. 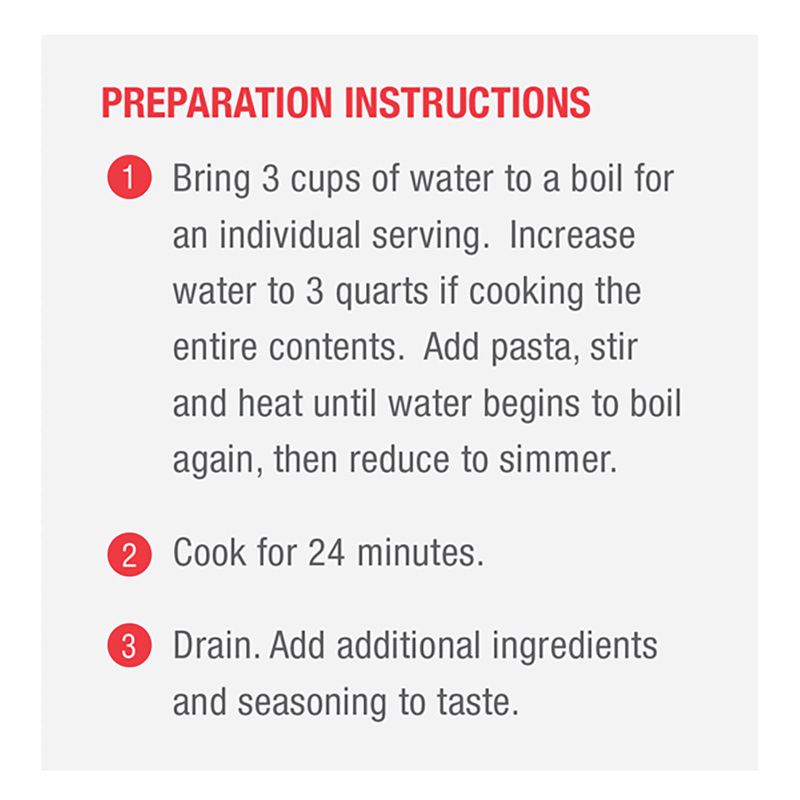 That’s why our recommended serving size has shifted from 1 cup to ½ cup for Fusilli. 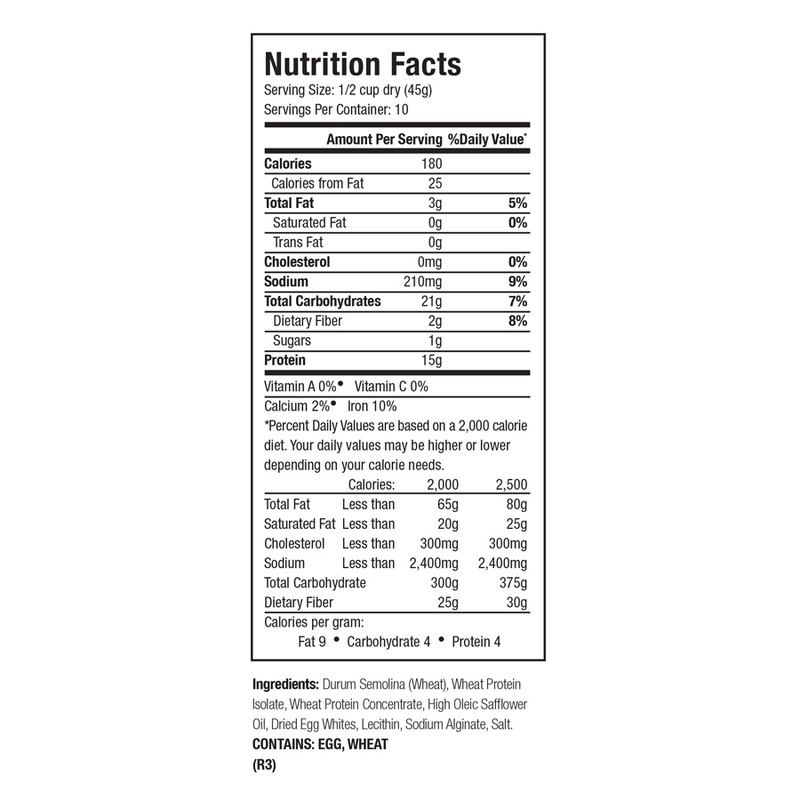 The new serving size supplies your maximum appetite suppression with the least amount of PastaRx.